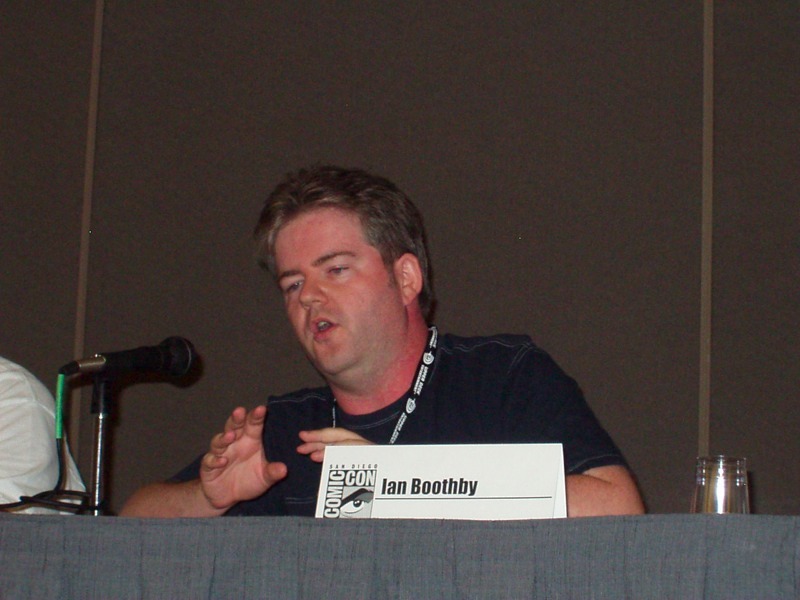 Ian Boothby is a multiple Shuster Award, Harvey Award and Eisner Award nominee and an Eisner Award–winning comic book creator best known for his work as one of the main writers on Simpsons Comics and Futurama Comics for Matt Groening‘s Bongo Comics. Boothby has written more Simpsons Comics than any other writer. He has also worked on various Canadian television series and is a well known stand-up, sketch and improv comedian working in the Vancouver area. He co-created Free Willie Shakespeare for the Vancouver Theatresports League which won the Jessie Richardson Theatre Award for Excellence in Interactive Theatre. A writer for multiple television series including CBC‘s Switchback, Street Cents, “Big Sound” and Popular Mechanics for Kids. He is the co-writer of the DVD film Casper’s Haunted Christmas and screenwriter of the Cartoon Network special Scary Godmother: The Revenge of Jimmy. The creator of the sketch comedy series The 11th Hour, called “The funniest sketch series since SCTV” by the National Post, as well as the creator of the TV pilots Space Arm, Vancouver PM and I Dig BC and the co-creator of Channel 92 along with Dean Haglund and Christine Lippa. Boothby founded the Canadian Comedy Award-winning sketch group Canadian Content. He currently performs with the sketch comedy group Titmouse! writes for CBC Radio‘s The Irrelevant Show, co-hosts the stand up comedy show Amuse Bouche with Riel Hahn and the podcast “Sneaky Dragon” with David Dedrick. (taken from Ian’s Wikipedia page).